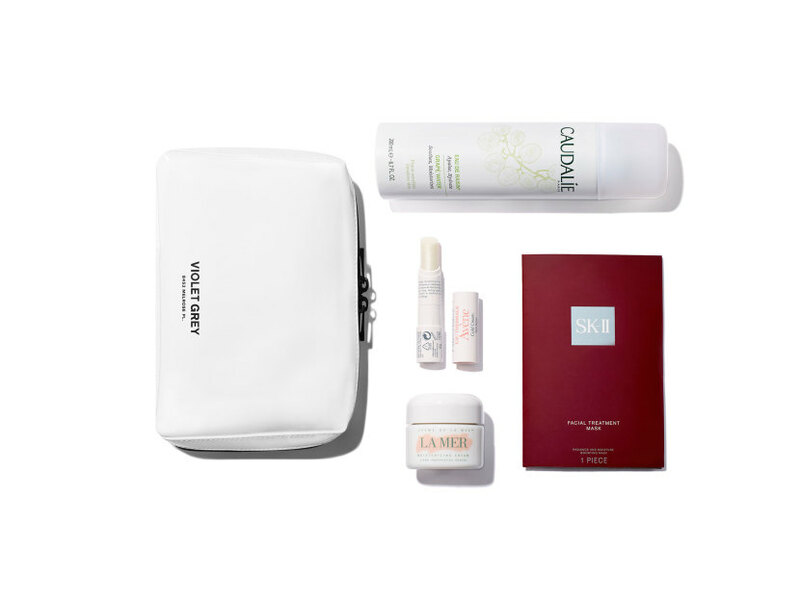 Q: What’s my holiday skin-survival plan? Foolproof strategies to maintain a luminous glow throughout a season of champagne toasts and late nights. 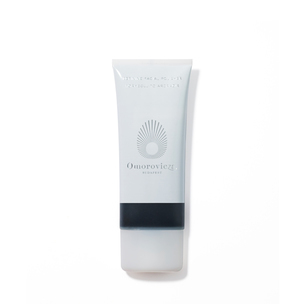 Omorovicza's pumice-based polisher is enriched with micro-algae, Hungarian Moor mud, and fruit acids to remove dead skin cells and purify without stripping. Once or twice a week massage a dollop onto skin in circular motions. When the scrub turns from green to grey leave on for two more minutes before rinsing. 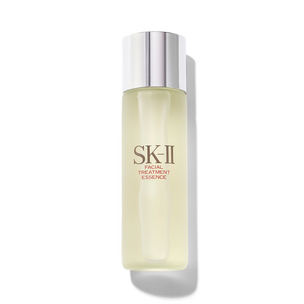 Mornings and evenings splash on a little of SK-II's sake-inspired facial essence to dramatically soften texture and brighten. Dispense a nickel sized portion into your palm, rub hands together, then press gently over cleansed face and neck before applying a moisturizer. Glycolic acid and Revive’s proprietary technology renew skin cells while you sleep. Smooth on this evening moisturizer before bed when you need a boost or every night for an accelerated glow. Pat on Erno Laszlo's eye cream to rev up your skin’s metabolism, increase cell turnover, and lock in moisture. The all-in-one formula fights puffiness, darkness, and lines in a luxurious gel-cream texture that cools on contact. To promote lymphatic drainage around tired eyes, gently massage the region with Tatcha's gold-plated acupressure tool. For a bonus benefit, allow it to sit in a bowl of ice water, cooling its thermal core to further calm puffiness. Keep on your nightstand as a de-stressing nightly ritual. For a pre-party boost, apply Guerlain's intensely hydrating, decongesting eye patches while you perfect your smoky eye. In just 10 minutes all traces of fatigue will fade away. All of the protective and soothing benefits of the iconic La Mer cream in a whipped, lighter-than-air formula that feels rich but comfortable. Massage on morning and evening through party season (and maybe forever). A few drops of Tata Harper's nourishing oil will lock in hydration and put a bounce back in your skin. After applying moisturizer, press (don’t rub) the complex against the skin from your décolletage to your hairline. Let every moment of your (limited) sleep count with skin care that will transform you upon waking. Once or twice a week, swap out your night cream for La Prairie's decadent sleep mask for the ultimate in overnight pampering. For those who require deep hydration as well as pampering. Luxury meets performance with these decadent, ultra-moisturizing formulas, which pair nicely with a cozy cashmere robe.